We are regarded as website design industry leaders in digital strategy and solutions, focused solely on delivering great website user experiences. SPEMedia has been providing high-quality website design services to clients from all over the world since 2009. For that reason, we have grown to become industry leaders in digital strategy and solutions. We mainly focus on providing the best website user experiences. We pride ourselves in being one of the most website design companies in Zimbabwe. Normally, businesses would expect to get a professional website designed for them for between US$500 and US$2000. However, we offer professional websites from as little as US$150 going upwards. Zimbabwean Domain Name registration (.zw) cost US$5 to register for the year. Thereafter, you will be required to pay just US$2.99 monthly for website hosting. This website hosting package comes with 5 business e-mail accounts, as well as 500MB website disk space to get your business set up on the internet and reach global customers. How does the website design work in Zimbabwe? As soon as you sign up with us, we will ask you to complete a website design questionnaire. This simply allows us to design a custom website according to your specific needs. We will design a website wireframe for you to approve and make changes as necessary. This will be sent to you after you’ve paid a commitment fee, which is included in the cost of website development. Thereafter, if you’re happy, we go ahead and design the website for you. 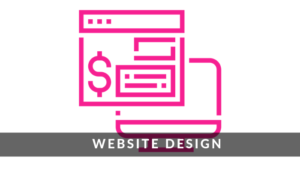 Once the website structure is built, you simply need to supply us with the website content or text and we will finish off the design process and your website will go live on the internet. Each and every website is different due to different personal tastes. For that reason, it’s difficult to say just how long it will take to get your website live. However, if you manage to complete the aforesaid questionnaire right away, our experienced website designers will have a design ready for you within 48 working hours from the questionnaire submission date. What do we ask on your website design questionnaire? Answering the following questions about your intended website will allow us to know exactly what website functionality you are after. This also helps us to advise you on the right brand design for your website, so please take time to go through them. What pages would you like on the website? (e.g. Home, About, Services, Contact). List any websites you like. Perhaps from a color, style or layout point of view. Please note that the website does not have to be the same type of business, we are just trying to understand the style that you require. What is the target audience of your company/website? Please tell us if you have an existing logo and color scheme. If not, is there a colour scheme or logo idea that you would like to suggest? Do you have any companies in the same field that you are competing against? If you know of any, please provide the name or website address of them. Our aim is to offer businesses in Zimbabwe and elsewhere the best possible services at the lowest possible prices. This is achieved by the employment of the best staff while keeping tight control over our costs at the same time. Furthermore, we always make sure that we put our clients first and we always go out of our way to make sure that we give you results that exceed your expectations. SPEMedia would really love to come to you and discuss what your business is doing online and how we can help. If you’re based in Harare, feel free to get in touch with us and arrange for us to come to you. For clients out of Harare, we can still come to you at your cost, anywhere in Zimbabwe. If you work with us you won’t get invited to an expensive office in Harare CBD and taken out for lunch at five star Sheraton Hotel restaurant. You won’t get 4 account managers who all claim to look after your website development account when in reality they’ll only get in touch when they want to sell you something. And we don’t have a creative team who spend more time snowboarding than working on your design projects. The good news is that if you work with us then you won’t have to pay for any of this! Can you help me with getting a website designed in Zimbabwe? Yes, we can design your website today! Why not give us a call on +263 776 260 360 or email us to discuss your website design project whether you are in Harare or anywhere in Zimbabwe. Get a free no obligation estimate or contact us to discuss your exact requirements. We appreciate that your business is unique in its own right. Therefore, we will develop a personalised website design plan and approach for you. Kindly fill the form below and we will reply you urgently with a custom pricing quotation. We are open from Monday to Friday 8 am to 5 pm.